The Catering department at The Princess Royal Hospital, Telford are pleased to offer a 20 hour per week post for a Senior Catering Assistant. The post holder will be required to work as part of the food service team in the Catering department and at ward level at The Princess Royal Hospital to provide and maintain an efficient catering service for both patient services and commercial services. 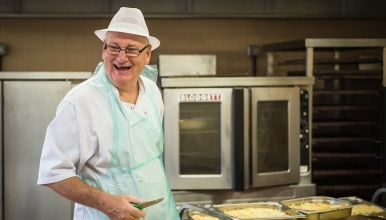 This will include service of patient meals at ward level; working in the main kitchen area assisting with food preparation and cleaning and working in the central dish wash and pot area. If this sounds of interest to you, please apply online, we welcome your application.